Having Catholicism as the only religion and just a single language contributed to the ethnic and national unity of Portugal. Its population was above average in stability and relatively homogenous for most of its history. An Iberian ethnic group, the native Portuguese share their ancestry and have a cultural proximity with Spain. The origin of modern day Portuguese is traceable to the Paleolithic peoples who began to arrive in the European continent 45,000 years ago. While all subsequent migrations left imprints, both genetic and cultural, the main population source of the Portuguese remained Paleolithic. 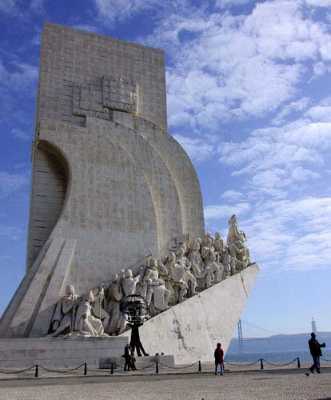 In 2007, Portugal had 10,617,575 inhabitants, of whom about 332,137 were legal immigrants. After a long history of emigration, Portugal has now become a country of net immigration since the 1990s. In Southwestern Europe, the Portuguese Republic is located on the western side of the Iberian Peninsula. With a strategic position between Spain and the Atlantic Ocean, Portugal became a world power in the 15th century by setting up ocean routes to India, Brazil, China and Japan, with settlements on both African coasts. The richness and diversity of its culture reflect the exposure to so many different civilizations. Its vast heritage in monuments, arts, and archaeology bears witness to both its 850 years of history including contacts with distant cultures and the presence of more ancient peoples in its territorial expansion. With the natural advantages of its sunny climate and diverse geographic features, Portugal has become a preferred destination for many travelers. It is an ideal place for playing golf and practicing water sports. It provides modern tourism facilities, and quaint and personalized means of accommodation, such as Solares de Portugal (privately owned homes ranging from wonderful farmhouses to manor houses), and luxury and charming hotels located in castles, old monasteries and manor houses known as Pousadas of Portugal. One of the warmest European countries, the annual temperature averages in mainland Portugal are 13°C/55°F in the north and 18 °C/64°F in the south, while it is over 20°C/68°F on the warmest spots, like the south coast of Madeira Island. Extreme temperatures occur in southeastern parts during the summer (sometimes reaching 40şC/104şF) and in the mountains in northeastern parts of the country in winter, (where they may fall to -10°C/14şF or below). However, sea coastal areas are milder. The northern landscape is mountainous in the interior areas, with plateaus indented by river valleys. The south, between the Tagus and the Algarve, features mostly rolling plains and a climate somewhat warmer and drier than in the cooler and rainier north. 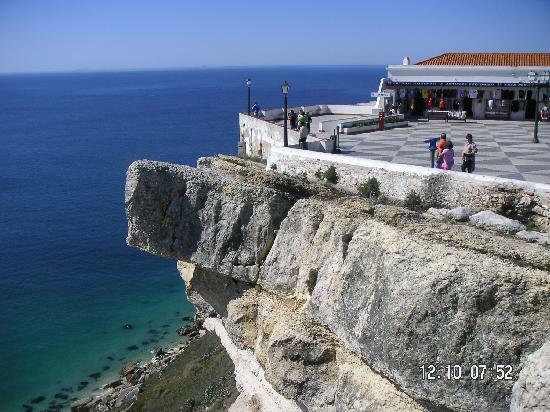 The Algarve, separated from the Alentejo by mountains, has a climate much like southern coastal Spain. The Kingdom of Portugal was established in 1139. Searching for a route to India for its spices that were highly coveted in Europe, Portuguese explorers sailed the coast of Africa. Trading posts were established along the route. It was Vasco da Gama who finally reached India and brought economic prosperity to Portugal. November 1, 1755 was the turning point in Portugal’s history when Lisbon, the capital and largest city of the Portuguese Empire was struck by an earthquake. From that time, a slow but inexorable decline started until the 20th century. A revolution deposed the monarchy in 1910. World War I aggravated the considerable economic problems and chaotic political situation. This led to the military coup d’état in 1926. Portugal was one of only five European countries to remain neutral in World War II. By 1961, Portugal lost its Indian colony. Macau, the last overseas territory, was handed over to the People's Republic of China in 1999. Fatima, a town located 88 miles North of Lisbon, is home to one of the most important Catholic shrines in the world dedicated to the Virgin Mary. Fatima's Sanctuary welcomes millions of pilgrims and tourists from all over the world. 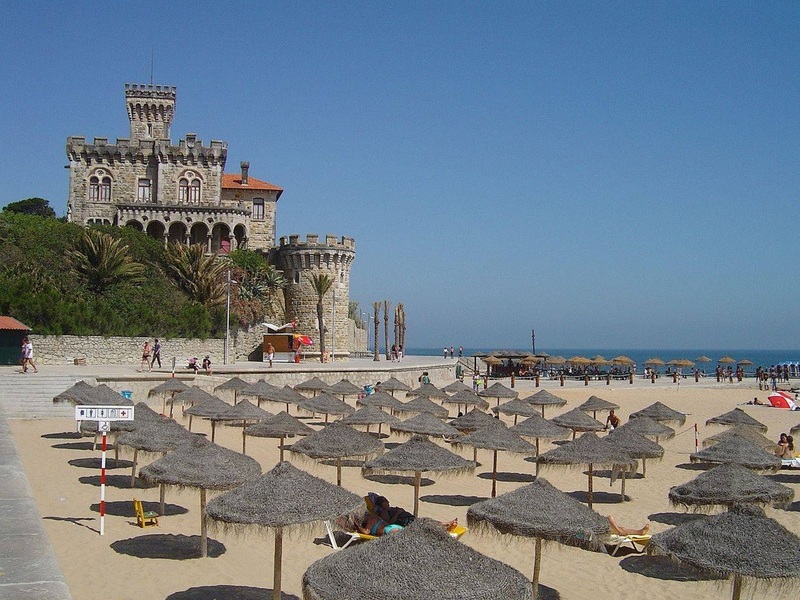 For beautiful monuments and remarkable scenery, Lisbon, Sintra, and Porto are the top three destinations. Algarve with its stunning coastlines and vast natural beauty has the most popular beaches. 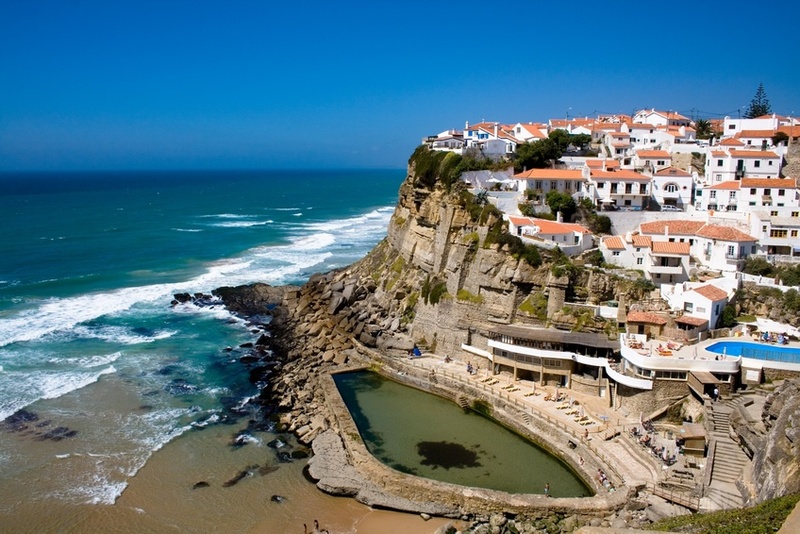 For surfing, there are great beaches all along the west coast, near Lisbon and Peniche. For holidays in the countryside, one can choose among Viana do Castelo, Chaves, Miranda do Douro, Lamego, Tomar, Leiria, Castelo Branco, Guarda, Portalegre, Évora and Elvas . To observe wild life in its natural state, Madeira and Azores Islands are places to remember, but not forgetting, of course, the Natural Reserve of Peneda-Geręs, the Douro Valley and Serra da Estrela. A golfing haven, Portugal was named “Best Golf Destination” in 2006. The cities of Lisbon, Porto, Albufeira and Algarve are the best choices for nightlife, where you have a line up of major places of entertainment to choose from open to the wee hours in the morning. Casinos, bars, dancing-bars, nightclubs, sauna, and entertainment centers are all over the urban areas. Cosmopolitan and global in orientation, these are perfect places of entertainment for people who come out, enjoy, and rejuvenate after a very busy day, with assorted fine liquors and liqueurs, served along with savory and mouth-watering food. The line up of options to choose from is subject only to one’s preferences in terms of taste, palate and wallet. Influenced by various civilizations that have crossed the Mediterranean and the European continent, or were introduced when it played an active role during the Age of Discovery, Portugal has developed a specific culture. With one of the earliest Western literatures, Portuguese literature developed through text and song. Portuguese music encompasses a wide variety of genres. The 20th century saw the arrival of Modernism, and along with it came the most prominent Portuguese painters. Portugal has several summer music festivals, such as Festival Sudoeste in Zambujeira do Mar, Festival de Paredes de Coura in Paredes de Coura, Festival Vilar de Mouros near Caminha, Optimus Alive!, Rock in Rio Lisboa and Super Bock Super Rock in Greater Lisbon. With different regions having their own traditional dishes, Portuguese cuisine is very diverse. There are hundreds of recipes for dry cod (bacalhau in Portuguese) that the Portuguese consume a lot. There are more than enough bacalhau dishes for each day of the year. Two other popular fish recipes are grilled sardines and caldeirada, a potato-based stew that can be made from several types of different, scrambled fish or meats or even vegetables. Cozido ŕ portuguesa , feijoada, frango de churrasco, leităo (piglet) and carne de porco ŕ alentejana are typical Portuguese meat recipes that may be made out of beef, pork, lamb, or chicken. Portuguese pastry has its origins in Middle-Ages Catholic monasteries. These monasteries created a spectacular wide range of different pastries, of which pastéis de Belém (or pastéis de nata) originally from Lisbon, and ovos-moles from Aveiro are good examples. Portuguese wines have deserved international recognition since the times of the Roman Empire.